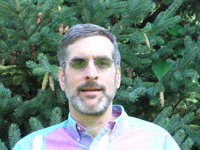 Mike Sirany was certified through the Wayzata Cenacle as a spiritual director and has been directing since 1995. He has an MA in theology (concentration in spirituality), and teaches and supervises in the spiritual direction training program at Sacred Ground, Center for Spirituality, in St. Paul. He taught for 11 years as an adjunct in theology at the University of St. Catherine, where he has also been a lecturer in their graduate spiritual direction training program. He is currently involved in a leadership role in the Episcopal spiritual director’s group in Minnesota. His spiritual direction practice includes a wide variety of clients, both lay and clergy, from several different religious traditions. He is married, has two adult children, and three grandchildren. “I have a strong background in Ignatian spirituality, which includes directing the Ignatian Spiritual Exercises. My spiritual direction practice blends many years of Twelve-Step experience, a strong theological base, my own on-going spiritual direction and participation in peer supervision, a commitment to growing more deeply in relationship with a loving God, and a deep, experiential belief in the value of listening compassionately to the movement of the Spirit in one’s life. I am a member of St. Christopher’s Episcopal Church in Roseville.